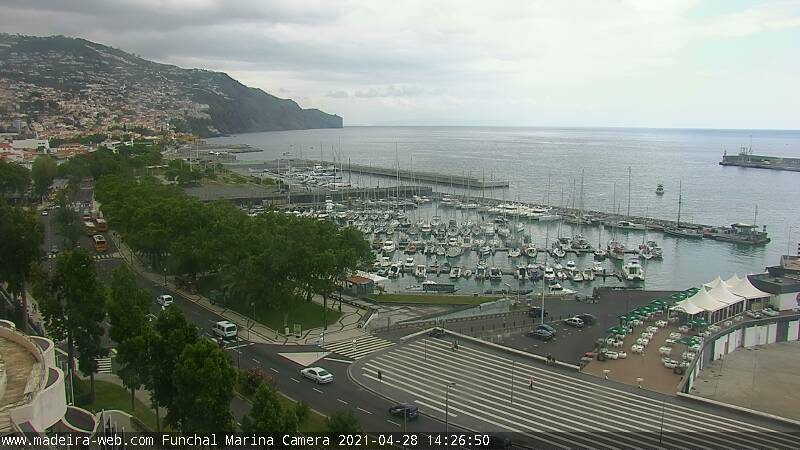 Funchal Promenade and sea front Webcam. Take a stroll from the Marina to São Tiago Fort for a great view of Funchal city and its bay. Visit the 'Old Town', Funchal's most charming district with its bars, restaurants and cobblestone streets. Check out our Porto Webcam. If the images are not up-to-date, please clear your browser's cache.